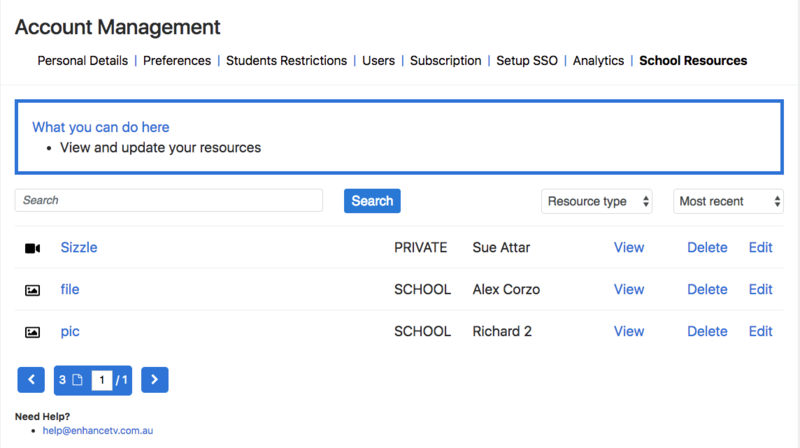 The School Resources page will give you a view of all the resources that have been uploaded by you or teachers within your school network. In this screen, it will show you if it is a file, link or Video. If it was a private resource or a School resource, who uploaded and the ability to View the file / link, View the resource which it is attached to, Delete and Edit. To View the File, Link or Video, click on the title or the icon and it will direct you to the link or download the file to your computer. To view the video of where the resource was attached to, click View and it will open a new tab in your browser with the link to the video. 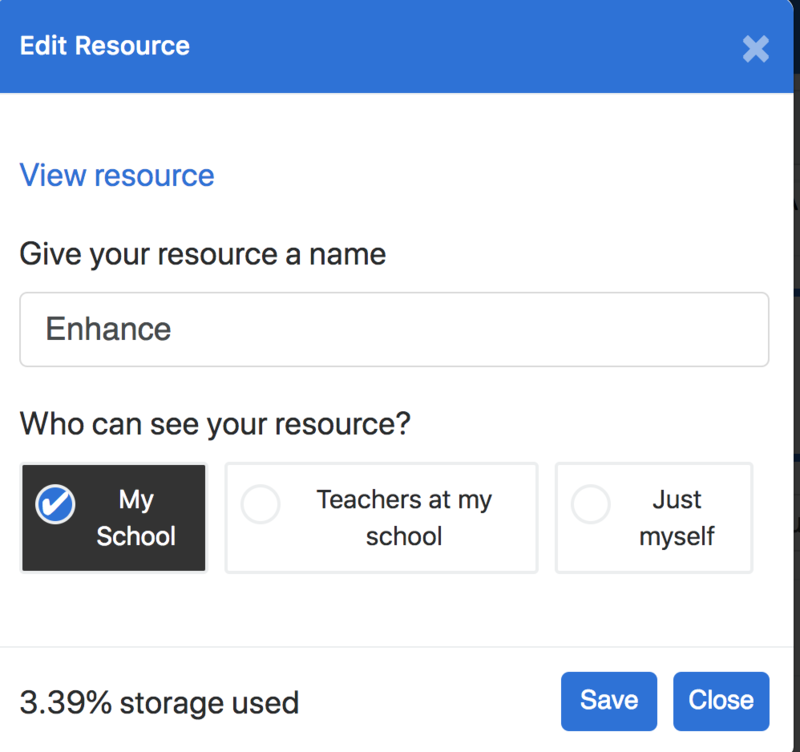 Edit will allow you to change the title of the resource or change who can view the resource. You can change it to My School (including students), Teachers at my school or Just my self.